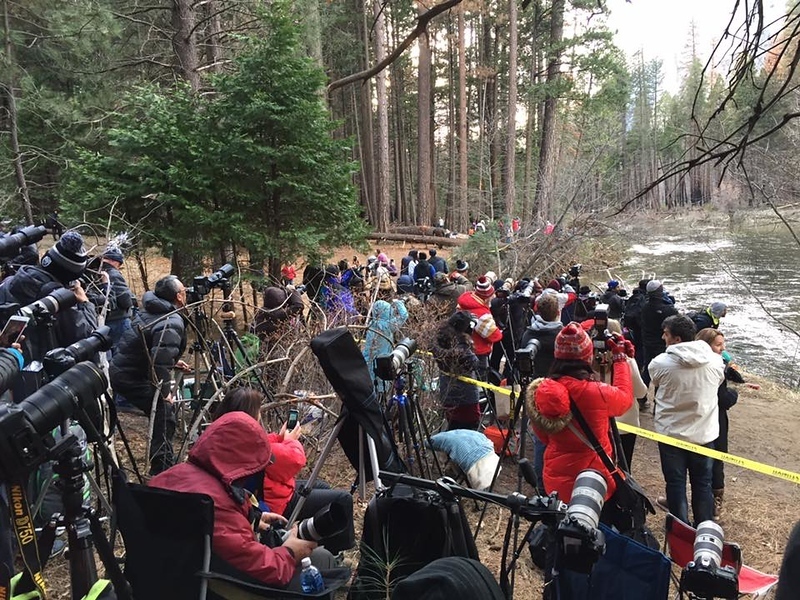 So each year, literally hundreds, if not thousands of photographers head on over to Yosemite to photograph an event that features one of the most beautiful natural phenomenon in California, if not in the United States. 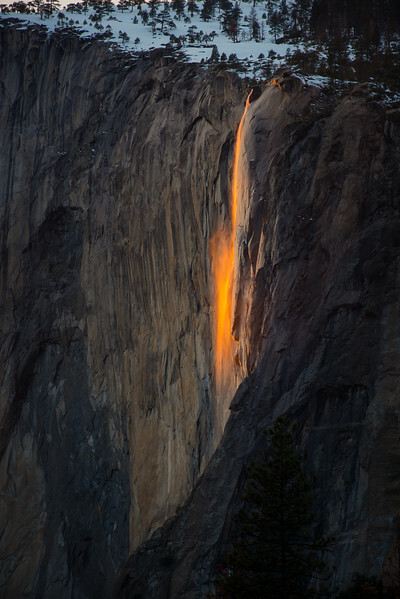 This event is known as the "Fire Falls", this event takes place at the Horsetail Falls. 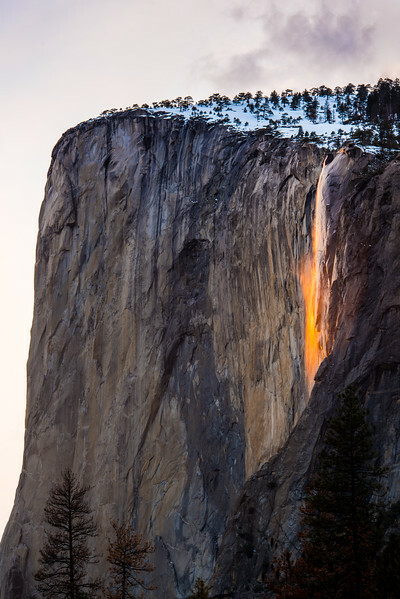 Because Horsetail Falls is a seasonal waterfall, it'll only flow if there has been rain, or if snow is melting above El Capitan. This event only occurs when the sun shines just in the right location to reflect off the rocks and shows us such a beautiful sight to behold. This year, I've had the opportunity to capture such an incredible event, and although this event tends to become more crowded each passing year, I think it's important to write a blog that will not only help folks see this event, but to do so respectfully for others. So the event starts in early-mid February and continues each day for about a week and a half to two weeks, it truly depends on the sky condition as well! 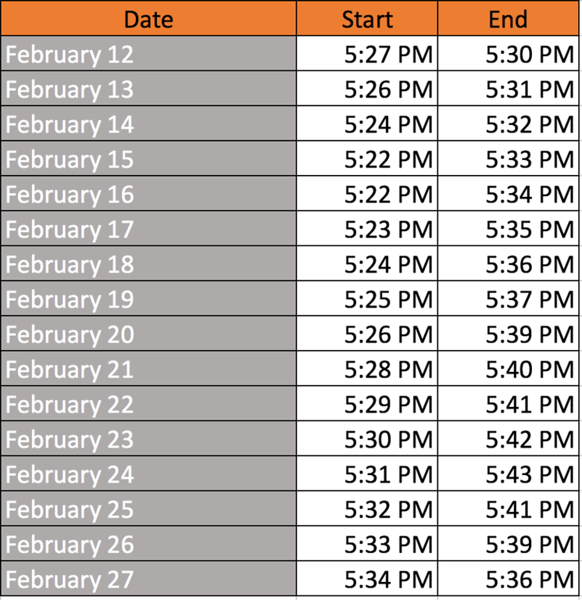 Rough timeline of when to visit the falls! Where To Actually See The Firefalls? 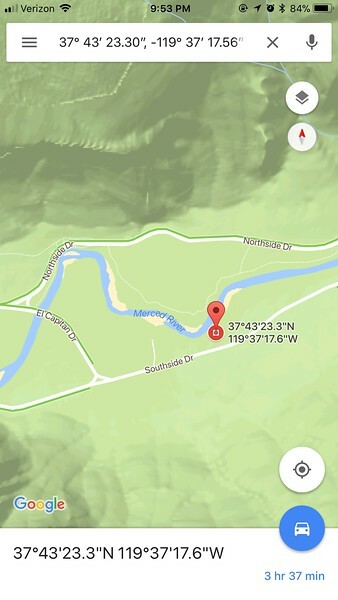 That GPS coordinate will lead you directly to where I got the photos featured! There are several areas to park alongside the road as well. However, what's most important is that you get here as EARLY as possible. I would even recommend making this an overnight trip and using the extra time to get to this outlook early! One thing to remember is that there WILL be a lot of people. What you should keep in mind is that people will be pushing, rowdy, and some times even a bit disrespectful to others. I hope that you enjoy your time here and that you respect others around you and allow others to enjoy a magnificent show! Shoot in raw if you have the ability! I recommend setting your camera to a timer because as you press the shutter, you introduce a bit of camera shake, so if you want the most clear photo, set your camera to a timer! On a full frame camera, a 200mm provides a great crop, but if you truly want a great crop, consider a 300mm lens! So what if you use a crop sensor? Remember that a crop sensor magnifies your lens length by 1.5x.